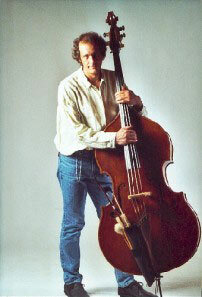 Learning to play the double bass takes five minutes –mastering the instrument a whole lifetime. Having joined and toured with various rock and folk bands in the early 1970s as a guitarist, Heiner Windelband at 22 found his alter ego: an instrument of upright stature, more powerful than highly sensitive, possessing a thrilling sound and volume. Each tone demands attention. Yet, Heiner Windelband, did not think the last row in an orchestra was his vocation. So, he started with jazz music. A number of different combos allowed him to experiment with expression, sounds and acoustic patterns. 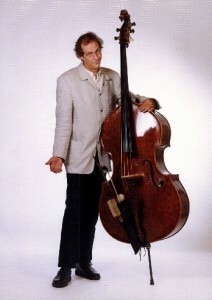 It is typical of him that he first explored the double bass as autodidact before taking lessons with Sigi Busch but he did not cease his own research and experiments. 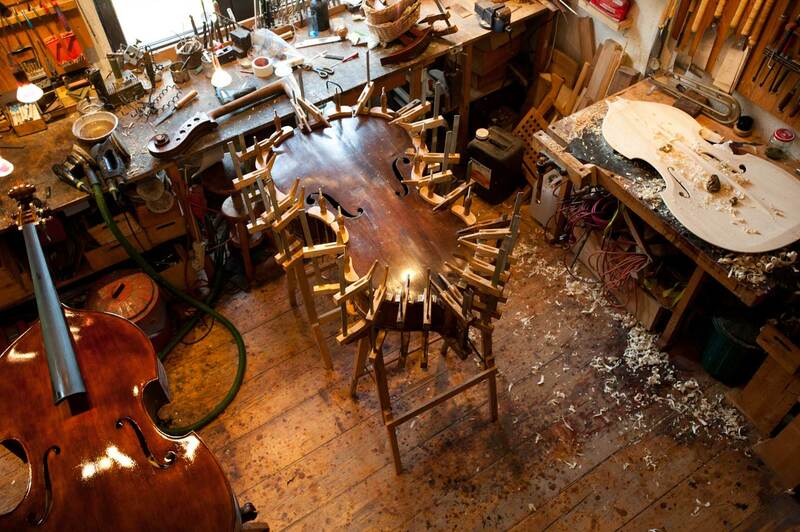 From the very beginning he was eager to trace the creative and practical possibilities as well as the limits of his instrument. These aspirations were so strong that he tried himself to improve the playing properties of his instrument with his own hands. 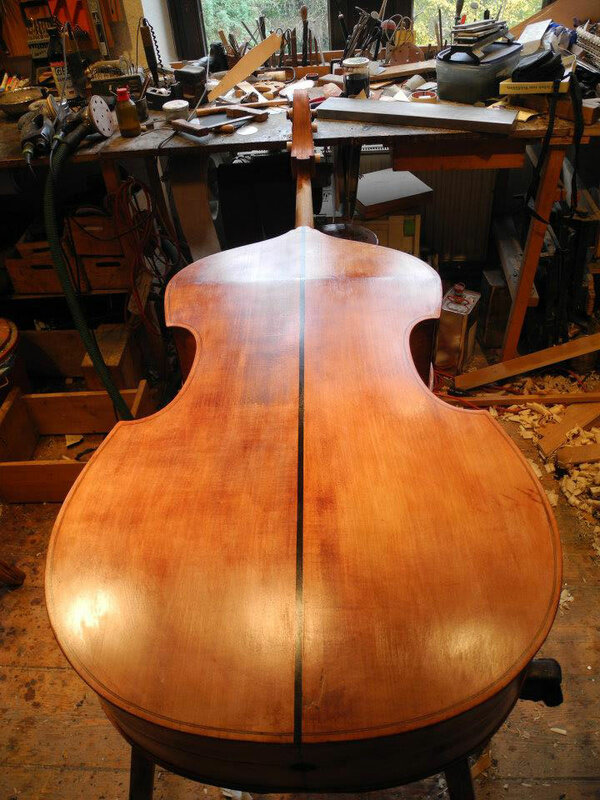 Today, bass players from all different genres make long journeys to have their noble mistresses repaired or their bass sound optimized in his studio. No matter whether restoration, repair work or setup, Heiner Windelband and his schlosswerkstatt 3young colleague Simon Bargmann know what they´re doing. 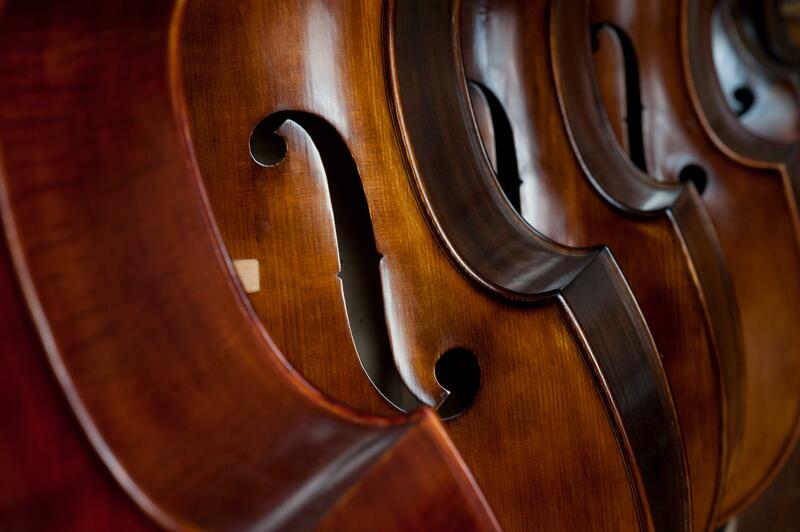 Apart from repair and restoration, building new double basses is their great passion. Exquisite materials and 35 years of experience, together with passion for the double bass have created a whole range of individual models, which have found their peak in the development of a special unique bridge and the first unplugged bassfamilie2semi-acoustic double bass. All his life Heiner Windelband has found it more exciting to swim against the tide ghw-00-1than flow with it. His career is best characterized through his projects: advancing into the borderland of artistic expression, trying out unusual instrumentations or mounting exceptional performances. Some of these projects he has founded himself, others he has organized and promoted. All this has made him the Enfant terrible within the North-German music scene: The guy who never stops producing ideas and is determined bring them to life. The broad variety of formations which you can book shows that these ideas have always been more than a flash in the pan.